This Sweet Dog Has Half a Spine, But He's Still the "Happiest Dog Alive"
Cooper has a "corkscrewed" spine, which means that his spine is fused to both his neck and bottom. 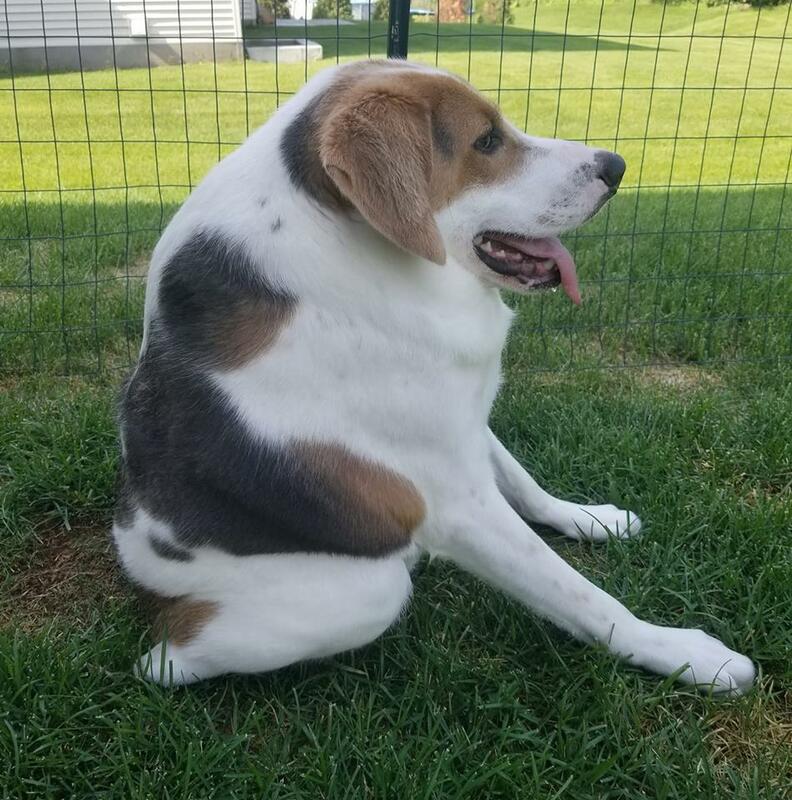 Cooper is a two-year-old American foxhound who was born with "short spine syndrome," a rare condition caused by inbreeding. In 2017, when Cooper was just two months old, he was rescued in Halifax, Virginia, near a puppy mill. The officers who came to his aid thought he may have been abandoned due to his spinal issues. 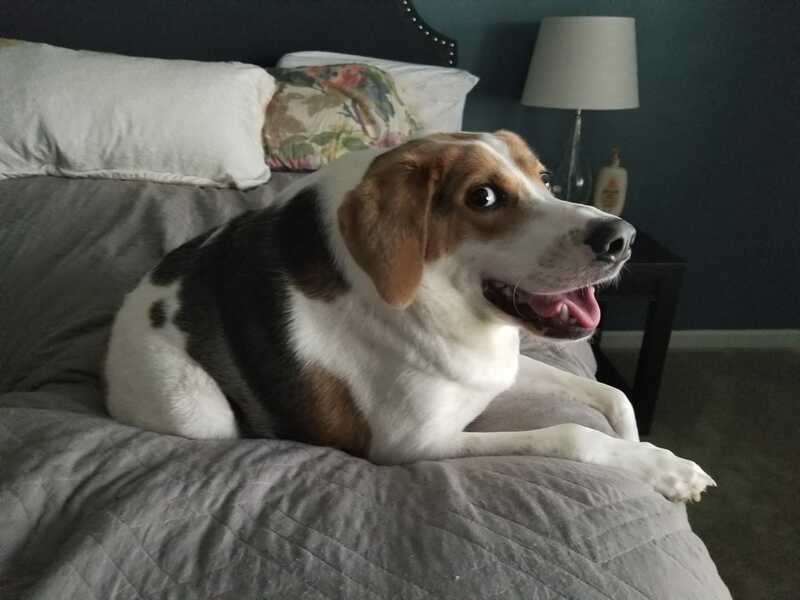 Fewer than 30 dogs in the world suffer from short spine syndrome, which in Cooper's case, affects his ability to use the bathroom, turn his neck, go for long walks, or stand on hard surfaces. 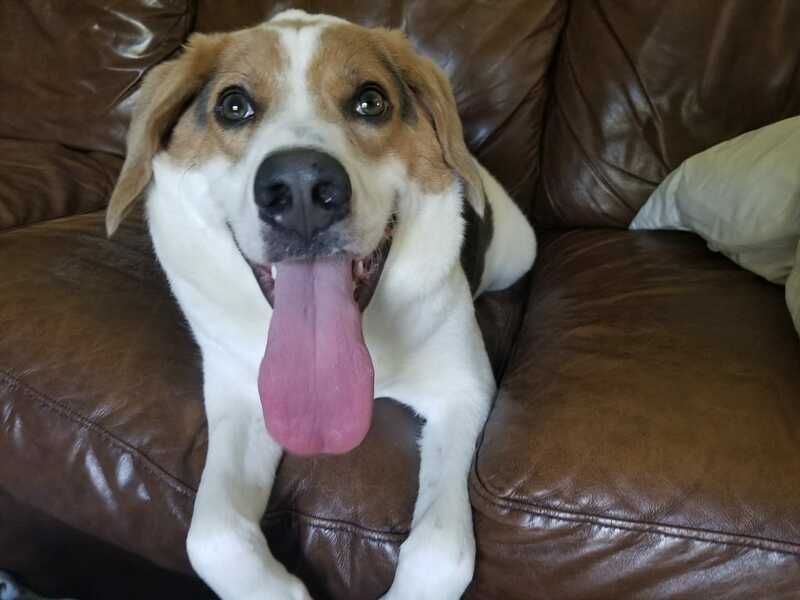 After his rescue, Cooper was taken in by a group called Secondhand Hounds in Minnesota, where he was treated for all his ailments. He was eventually adopted by a couple with three other dogs and was given a special surgery which allowed him to be able to go to the bathroom by himself. Through it all, his owner Elly Keegan says he has a very happy disposition and is the "happiest dog alive." 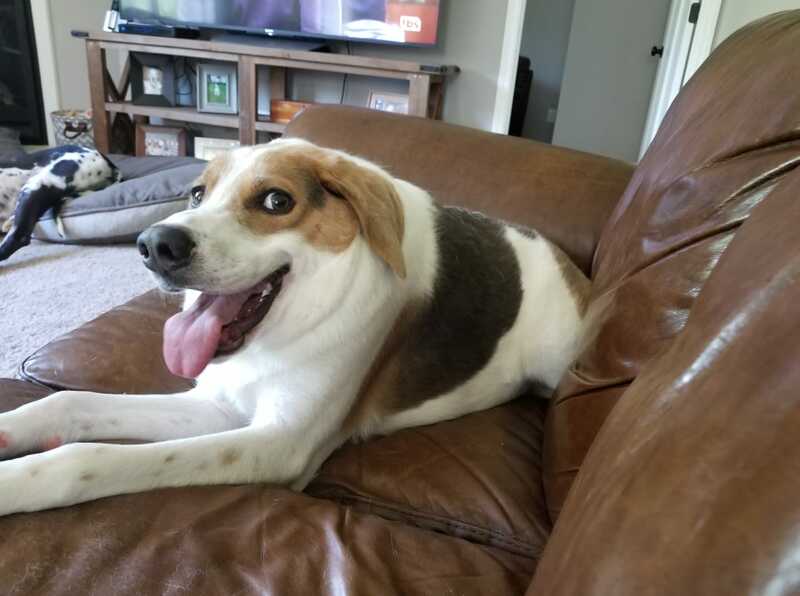 Cooper always keeps pushing and apparently enjoys the doggie lifestyle of his dreams, finding tons of energy to play with his furry siblings. He is currently being considered as a study option for Purdue University's research on short-spined dogs, as well. You can follow Cooper's adventures on his very own Facebook page. What do you think of Cooper's story? Does his happiness -- despite his obstacles -- inspire you? Tell us in the comments! *All photos courtesy of Cooper's Facebook page. Know a teacher who's inspiring? Find out how you can nominate them to win a cruise!